Your MicroSquirt® controller uses an intake air temperature sensor to help determine the density of the intake air. 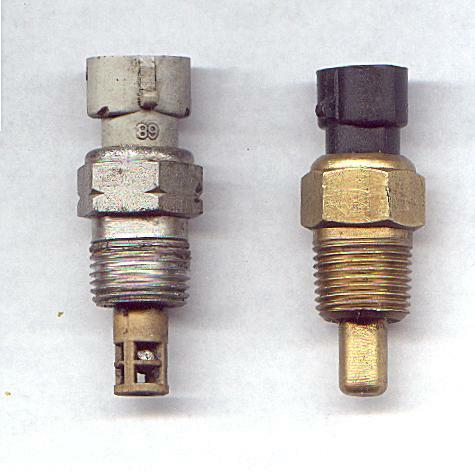 The intake air temperature sensor must be a Negative Temperature Coefficient (NTC) thermistor. This means that it is a resistor whose resistance decreases as its temperature goes up. Naturally aspirated engines can use the same sensors for coolant and air temperature. 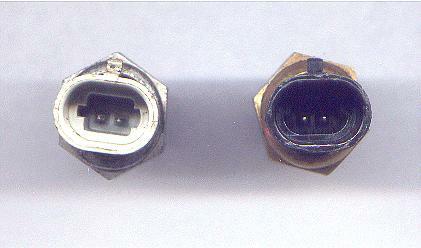 These sensors are inexpensive (roughly $18 US) GM units readily available from any parts store (GM part number 12146312, may have been replaced by #15326386). They have a ¾" hex. Then you need to open TunerStudioMS, and under 'Tools→Calibrate Thermistor Tables' specify the Air Temperature Sensor, then either select your sensor or enter the temperature/resistance pairs. In the dialog for calibrating the thermistors, specify 2490 Ohms for the bias resistor value. Then click the 'Write to Controller' button to burn the table. The table will stay in your MicroSquirt® controller's memory until you reburn it, or load new code.